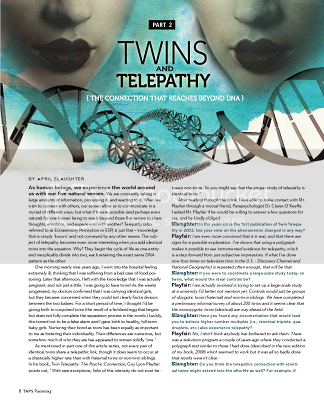 Part Two of April Slaughter’s Twins & Telepathy article series with TAPS Paramagazine is now up and ready to view. And, as always, your feedback is always welcome and appreciated! You are currently browsing the Paranormal Source - Paranormal Research & Development Team blog archives for June, 2010.